When you have a decent pair of binoculars, it can be an excellent asset for a wide range of applications, and similarly, will be a useful and valuable survival preparedness tool. Binoculars are available in a wide variety of qualities, sizes, shapes, ruggedness, weight, and technical parameters. While there are cheap ones, there are also others that are extremely expensive. A fabulous pair of binoculars is a crucial piece of gear in any outdoor or survival situation – it extends your sight, helps your vision in low light and even after dark, and allows you to observe movement from a distance. But how do you choose the best binoculars for your survival and prepping needs? Click on one of the links to go directly to our overview, opinion, and features of each binocular. Porro Prisms vs. Roof Prisms: Until the 1960s, Porro prism binoculars were standard. Then roof prism binoculars were introduced by the Leitz and Zeiss companies – the objective lenses of these binoculars were straight in line with the eyepieces. Roof prism binoculars are light, compact, and comfortable to hold and although they look a lot simpler than the Porro prism binoculars, they have a much more complex light path and need far greater optical precision in the manufacturing process. This is why they cost more to make. Although roof prisms dominate today’s market, Porro prism binoculars are not obsolete and well-made ones are impressive and work well. Magnification: When you are checking out survival binoculars, you need to consider how much magnification is enough. You will see numbers like 7×42, which identify the binoculars. This provides a lot of information. The first number 7 refers to the magnification, which means that the image that is produced looks like you are 7 times closer to the object. A pair of binoculars with 7x or 8x magnification is suitable enough for any survival situation, outdoor trip and as a valuable piece of gear when SHTF that any prepper should consider having. Binocular Exit Pupil: Exit pupil is a number indicating the brightness of an object when it is viewed in low-light situations. The higher the number, the brighter the images. When you have binoculars with a large exit pupil, maintaining a full image of an object is easier if your hands are moving or shaking. The size of an exit pupil is measured in millimeters and calculated by dividing the diameter of the objective lenses by the magnification number. An Exit pupil of around 5mm or above is golden. Recommended Objective Diameter: As mentioned earlier, you will see numbers on binoculars, like 7×42. As you know, 7 is the magnification power. The second number 42 refers to the diameter of the objective lenses, which means that the binoculars have objective lenses that measure 42mm. The objective lens diameter largely determines the amount of light that your binoculars can gather. When more light is captured, you get a brighter view, especially in low-light conditions. Binocular Eye Relief: Eye relief refers to the distance between your eyes and each eyepiece while you have a visible view of the whole field. Long eye relief helps in increasing comfort as it allows you to hold the binoculars away from your face. You will find the eye relief spec most useful if you wear glasses. For those who wear glasses, eye relief of 16mm or more is recommended. Field of View: The binocular field of view spec is what tells you the area’s width (usually in feet) that you can view in one glance, 1,000 yards from your position. It is best to have a wide field of view to find and identify objects, e.g. birds. In most cases, a higher magnification power comes with a narrower field of view. Waterproof and Fogproof: When it comes to survival binoculars, having waterproof and fogproof features are fundamental. Waterproof binoculars typically come with o-rings that create a seal to keep moisture, as well as dust and debris, from entering. Binoculars tend to fog up when moving between different temperatures. Fogging is not just annoying, but is also potentially damaging as moisture can get trapped inside. Make sure that your binoculars are waterproof as well as fogproof. Focus Options: Almost all binoculars nowadays have a central focusing wheel that allows you to focus both barrels of the binoculars simultaneously. Typically, they also include a diopter adjustment ring that enables focusing one barrel independently of the other. This way, you can compensate any vision differences between your two eyes. You should press the button for binoculars with a single focus adjustment option rather than fixed focus binoculars. Glass Type: The quality of glass used in prisms and how finely ground it is can have an effect on the sharpness of images. Two of the more common types used in binoculars are BAK-4 and BAK-7. BAK-4 is generally more expensive, but it is considered better than BAK-7. One reason for this is that you get a nice round exit pupil with BAK-4, while with the BAK-7, there can be a distortion around the exit pupil’s edge. Therefore, you should select BAK-4. Glass Coating: Among other things, glass coating helps in improving contrast and reducing glare. If you hold large front objects towards you and a funny color appears on the lenses, those are the coatings. Although there are a number of different levels of coating, you will find the term “fully multi-colored” in the best optics. You should look for binoculars with this type of coating. Construction: Nowadays, you will find binoculars made of a variety of materials. However, choosing one with a rubberized construction is smart as rubberized binoculars are tough and more durable than other types. They are rugged enough to withstand even the roughest conditions. Also, if you drop them, the rubber will absorb part of the impact. Additionally, you should make sure that the eyepieces of the binoculars do not wobble. Weight: When you are in the wilderness, you will be carrying your binoculars around your neck, which is why you need to choose one that is lightweight. It should not weigh you down as it hangs from your neck. However, when you are checking out lightweight binoculars, make sure that you do not compromise on quality. Many of them can be flimsy and will not last you very long. Choose a pair of high-quality binoculars and consider it a bonus if it is light and easy to carry around on your outdoor trips. The Celestron 71334 Nature DX is among the best binoculars you can find in its category. Fully rubber armored and waterproof, these are the ideal binoculars to get as a prepper. They are easy to use with multi-coated optics that give you quality detail that you will not find with other entry-level binoculars. The rubber armored, polycarbonate housing makes them high durable and tough enough to prevent damage without adding extra weight. The Nature DX features twist-up eyecups to give everyone a comfortable viewing experience, including those who wear glasses. It is waterproof, fog proof as well as nitrogen purged, ensuring that it can withstand the elements no matter where you are. The Celestron 71334 Nature DX is a well-designed pair of binoculars that is great for all outdoor/survival situations. It is made of high-quality materials, so you get a rugged product that can withstand the roughest conditions. It is also waterproof and fogproof, not to mention nitrogen purged, which allows it to withstand the elements. However, while it is a salient pair of binoculars, it is not perfect. There are a few quality issues, such as the internal screws that attach the eyecups fall off pretty easily. You may also find the eye relief dials too loose – they tend to turn too easily. But all in all, the Celestron 71334 Nature DX is a suitable pair of binoculars for the money, as a survivalist, this might be a nice addition to your gear, so give the Celestron a try. This pair of roof prism binoculars has some prolific features that make it a terrific buy if you are looking for quality binoculars. It has a lightweight, magnesium chassis with rain guard HD water-repellant lens coating. This product also features 10x magnification and 42mm objective lens and is both waterproof and fogproof. It has excellent optics with ED Prime Extra-Low Dispersion fluorite glass to give exceptional color resolution and contrast. The Legend Ultra HD is a superb choice if you need a pair of binoculars, giving you clear and bright views even in low-light conditions, no matter where you are. While the Bushnell Legend Ultra HD is a pretty awesome pair of binoculars, it does have a few flaws. Before getting to the flaws, let us take a look at its positive aspects. First off, it works incredibly well in all conditions, including low-light ones. 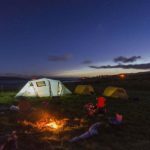 Its size and weight are ideal for carrying on any outdoor trip. The Legend Ultra HD is tough and durable too. These binoculars take a little time to focus and the objective lens protective covers can slip off pretty easily as they are not firmly attached. The 4.6-inch thick carrying case is a tad large and not too carry-friendly. However, the Bushnell Legend Ultra HD is an excellent product for its price and definitely worth it. The Carson 3D Series High Definition Binoculars is compact and lightweight and comes with ED glass and HD optics to give you brighter, super-sharp images. These binoculars are ideal for backpacking, camping, hiking, bird watching, hunting and to have in your equipment when an SHTF situation arises. It features rubberized armor coating technology with precisely placed thumb grooves as well as 10x magnification and 50mm objective lens diameter. The fully multi-coated lenses provide outstanding optics in any condition. The Carson 3D Series High Definition Binoculars are one of the top ones available on the market. It is well designed and constructed, and light and compact – which is pretty important when you need to carry it around your neck while walking in the wilderness. It has fully multi-coated lens coating which is another important feature when looking for binoculars. While it may be a little pricey for some, The Carson 3D Series is one of the best quality binoculars at this price. You get everything you need in a good pair of binoculars. If it came with an eyepiece and objective covers, it would be near perfect. These high-quality binoculars are definitely worth the price and give you great value for the money. These 10×42 binoculars feature Nikon’s premium Extra-Low Dispersion (ED) glass to give you clearer, sharper and more brilliant field of view no matter what conditions you are in. Lightweight and compact, the 7577 MONARCH is the perfect companion for all your outdoor adventures. It has fully multi-coated eco-glass lenses and is equipped with other user-friendly features such as a Smooth Central Focus Knob, Turn-and-Slide Rubber Eyecups, and Flip Down Lens Caps. Built for heavy-duty use, the 7577 MONARCH comes with a rubber armored body to give you better durability and toughness. Nikon’s MONARCH series binoculars are an excellent choice for anyone looking for a pair of quality binoculars, whether it is for hunting, bird watching, preparedness or any other outdoor activity. The 7577 MONARCH is packed with fantastic features that make it easy and comfortable to use and give you superb clarity and focus in all types of light conditions. These binoculars are also well built and sturdy, making them highly durable, and have a non-slip grip so you do not have to worry about it slipping in wet conditions. There are a few minor issues with the 7577 MONARCH, like the lens covers do not fit the binoculars properly so they keep falling off. Also, the close focus is not perfect. But all in all, these binoculars offer a stellar performance and that is why we want to mention them here. The ALPEN Shasta Ridge binoculars are fully multi-coated, waterproof and fogproof binoculars with BAK4 high index silver metallic-coated optics and long eye relief – pretty much everything you look for in a great pair of binoculars. They give you clear and bright images in all conditions. Rugged and tough, the Shasta Ridge binoculars are excellent for carrying on all your outdoor trips, a solid option for survivalists if you ask us. You get a nice wide field of view with these high-quality binoculars that come at a fair price. The ALPEN Shasta Ridge binoculars are a nifty pair of binoculars for all types of outdoor activities, like bird watching, hunting, backpacking, and of course, prepping. They allow you to see pretty far with clear images. You get a good range and perfectly sized to slip into your pocket. The Shasta Ridge binoculars are well made and have quality materials, making them tough and durable. The only drawback is that for small users, it is a little difficult to bring the binoculars close enough together to give you a seamless single view. This is because the sight barrels touch, coming to a stop before you can achieve that last millimeter required for perfect vision. But all in all, the ALPEN Shasta Ridge binoculars are a great buy and they will last a long time. These 10×50, roof prism binoculars feature HD extra-low dispersion glass that gives you the ultimate in color fidelity and resolution, which results in high definition images in all kinds of light conditions. It features fully multi-coated, Vortex proprietary XR anti-reflective coatings on all air-to-glass lens surfaces to increase the light transmission to achieve maximum brightness. The roof prism gives you a more compact size and greater durability. The rubber armor gives you a secure, non-slip grip and better external protection. The Vortex Optics Viper HD waterproof and fogproof binoculars are another stellar choice for those looking for a quality pair of binoculars for survival. The Vortex Optics Viper HD are an excellent high-definition binoculars that give you clear, and crisp images every time. They are not too heavy and have an excellent range. They are also easy to focus. With these binoculars, you can be sure that you have the perfect companion for all your outdoor adventures. With superb optics, these binoculars allow you to see everything clearly in all conditions. These binoculars feature premium HOYA ED glass that virtually gets rid of chromatic aberrations for true color transmission across the entire field of view. With the phase-corrected Bak4 prisms, you get better light reflection, true color fidelity and high contrast. Other features include 3-stage twist-out eyecups and right eye locking diopter ring, and an open-bridge design with magnesium alloy chassis that makes it lightweight without sacrificing strength and durability. The anti-reflection fully multi-coated optics provides enhanced low-light performance. The Vanguard Endeavor ED II is another excellent choice if you are on the lookout for a pair of high-quality binoculars when an SHTF or survival situation arises. They are lightweight and versatile and are great for all types of outdoor adventures, from bird watching to hunting to hiking. The lenses offer high-quality images that are always crisp and clear, even in low light conditions and extreme weather. Some users may find that these binoculars have a little too much chromatic aberration. However, if you are not CA sensitive, this is not a major issue. You may also have a little difficulty using in the beginning, but once you are used to it, you will not want to use any other binoculars. If you are in need of a superior pair of binoculars for your outdoor trips or to add to your prepping gear, the Vanguard Endeavor ED II is definitely one of the best choices out there. This is a well-designed pair of binoculars with excellent quality. They are one of the toughest and most durable binoculars available right now. They provide superior clarity and sharpness with a wide field of range. If you wear glasses, you will have absolutely no problems using the Hawke Endurance binoculars. You receive sparkling focus as well, no matter what the distance. It has been designed and built to ensure all types of weather and light conditions. No matter what activity you have planned for your wilderness trip, the Hawke Endurance is the ideal binoculars to take with you. There is no doubt that the Hawke Endurance ED binoculars have some prolific features that make it one of the top products available. It offers clear and sharp images no matter the distance or light conditions. A lot of people who wear glasses find it difficult to find a decent pair of binoculars that they can comfortably use. The Hawke Endurance is an excellent choice for them. Some users say that it is a tad heavier than they expected, but this is not a major issue. The price is also a little higher than some of the other binoculars in this range. 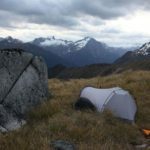 However, it is worth it as the Hawke Endurance is well built and durable. If you do not mind spending a little more than you planned on a pair of binoculars, this is a fantastic choice. Nitrogen-filled and waterproof, the Pentax 62555 8×42 DCF CS is built to handle even the most extreme weather conditions when you are out in the great outdoors. The phase-coated roof prisms give you high contrast, high-resolution images. With its silver-deposited roof prisms, more light gets reflected through the prism, giving you brighter images. It also features long eye relief for comfortable viewing with or without your glasses on. The fully multi-coated optics provides maximum transmission of light and reduced internal reflections. This compact pair of binoculars is very comfortable to use in the field. The Pentax 62555 8×42 DCF CS is a high-quality pair of binoculars that have some fantastic features. Comfortable and easy to use, this a great choice when you are out in the wilderness that survivalists should consider. These binoculars provide clarity, sharpness, and excellent focus in all conditions no matter where you are. However, you might find that these binoculars a little smaller than you would like and the left eyepiece tends to fall off a little easily. If you do not mind these small issues, the Pentax 62555 8×42 DCF CS is a nice option to keep in mind when picking some good survival binoculars. The Zeiss Terra is another excellent pair of binoculars that offer a couple of noteworthy features. These 8×42 binoculars have comfortable eyecups that make viewing easy. It features precision focusing and a large focus wheel for easy access. There is a special grip area that does away with slipping when you are viewing. This is a well-designed pair of binoculars that gives you clear and bright images in all types of conditions. It is also rugged and tough, making it excellent for even the harshest conditions. The Zeiss Terra ED is lightweight and compact, and performs exceptionally well, even in low light conditions. It feels solid and comfortable in the hand. It has crystal clear optics that gives you excellent color contrast. 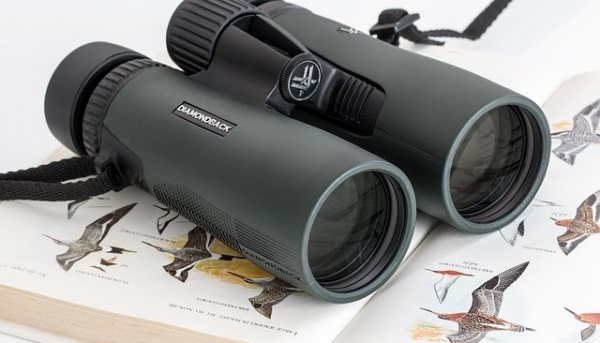 These 8×42 binoculars are a fantastic choice in terms of image stability and magnification. You can always be sure of clear, bright images no matter where you are and what type of lighting you are under. One of the flaws that the Zeiss Terra has are the stiff eyecups, but this could be a quality control issue in certain batches. Also, the objective lens cover does not fit tightly and tends to come off easily. Finally, it would be great if these binoculars came with a carry pouch. All in all, the Zeiss Terra is a nice buy and worth every penny. As you can see, there are a number of high-quality survival binoculars available on the market that you can choose from to carry on your outdoor adventures. They all have their own pros and cons – finding the right one depends on your budget and the features you need for your personal use. Before choosing a pair of survival binoculars, research as much as you can so that you can make an informed decision. With a splendid and robust pair of binoculars, your outdoor trips, stakeouts, work, property assessment, preparedness, whatever you need them for (yes, these binoculars can be used for occupations too) and so on will be easier and better. In addition, you will feel secure and enjoy every minute knowing that you have a reliable pair of binoculars with you.